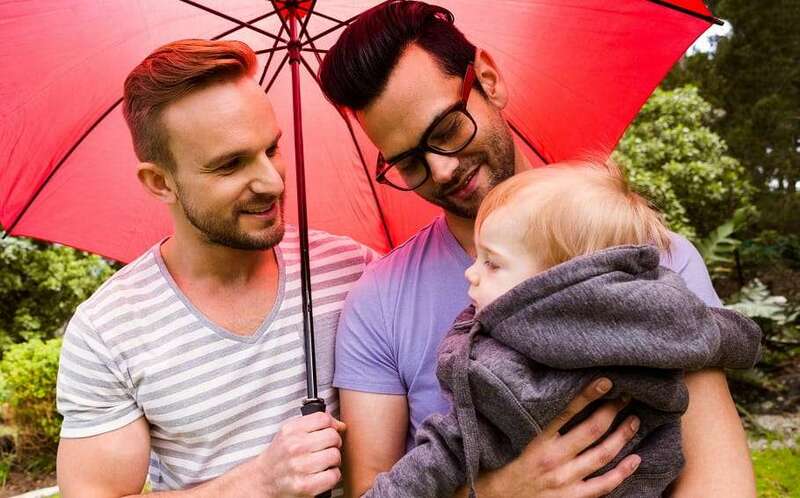 Nearly two thirds of gay dads report face social stigma from relatives, neighbors, service staff and other LGBTIQ people, according to new research. The survey of 732 gay dads in 47 US states was conducted by researchers at the American Academy of Pediatrics and found 63.5 percent of respondents reported experiencing stigma because of being a gay father. Around one quarter of the fathers surveyed said they had faced discrimination from family members, neighbours, service staff – and also from gay friends. The research also revealed that half of those surveyed (51 percent) had avoided certain situations out of fear of mistreatment in the past year. The researchers found the level of stigma experienced by the dads was proportionate to each US state’s legal and social protections for LGBTIQ people. “Respondents reported barriers to becoming a father and stigma associated with fatherhood in multiple social contexts, most often in religious institutions,” they wrote. “Fewer barriers and less stigma were experienced by fathers living in states with more legal protections. “Despite growing acceptance of parenting by same-gender adults, barriers and stigma persist. About 39% of the gay dads’ children were born via a heterosexual relationship, 35% came through foster care or adoption and 13.5% through a surrogate.